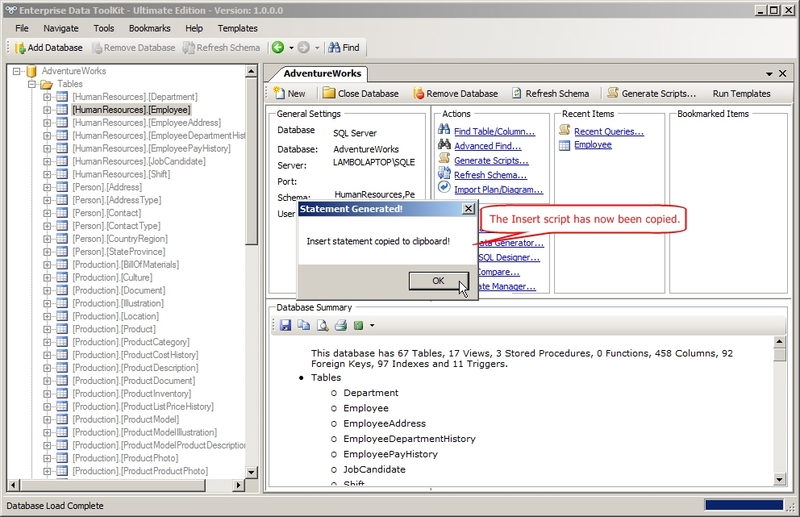 Right Click on a table, and quickly generate the DDL for it. 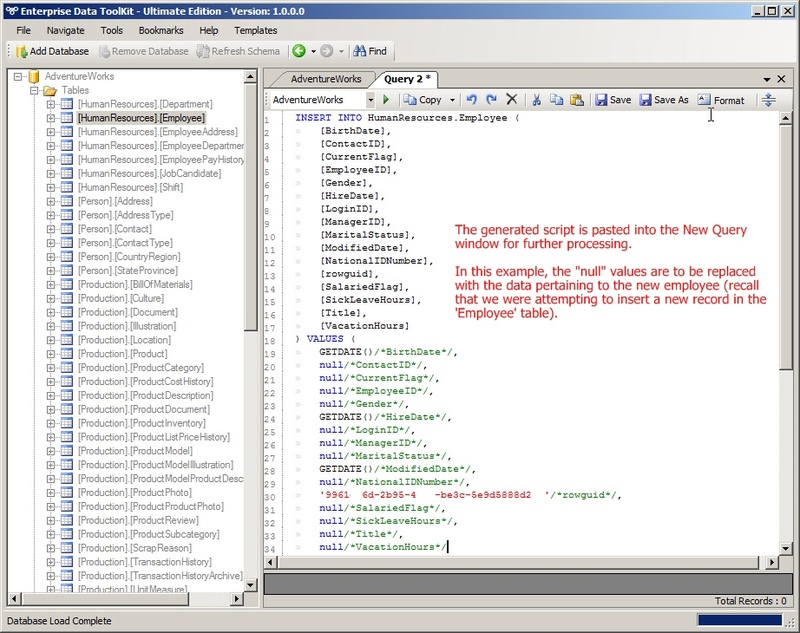 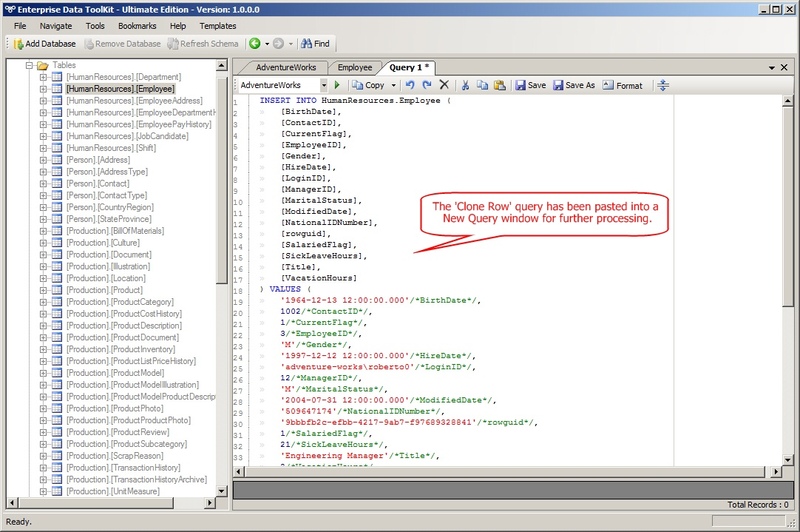 Customize the DDL to include or exclude Keys, Constraints, Indexes, Triggers - Just the way you want it! 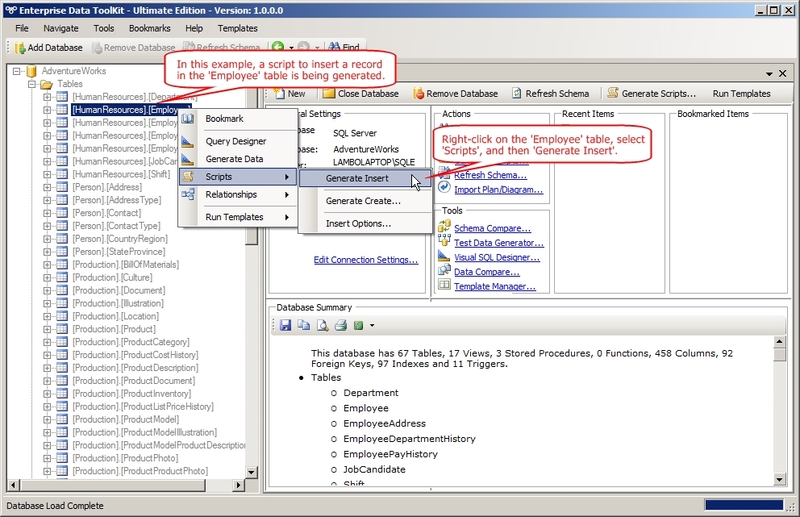 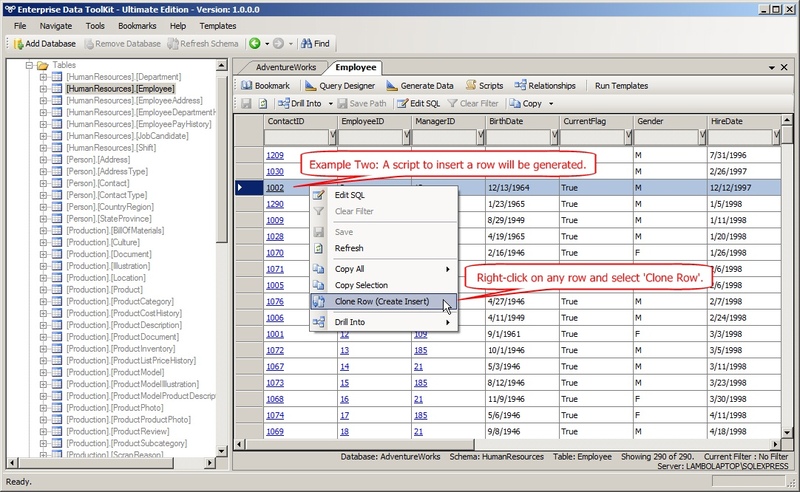 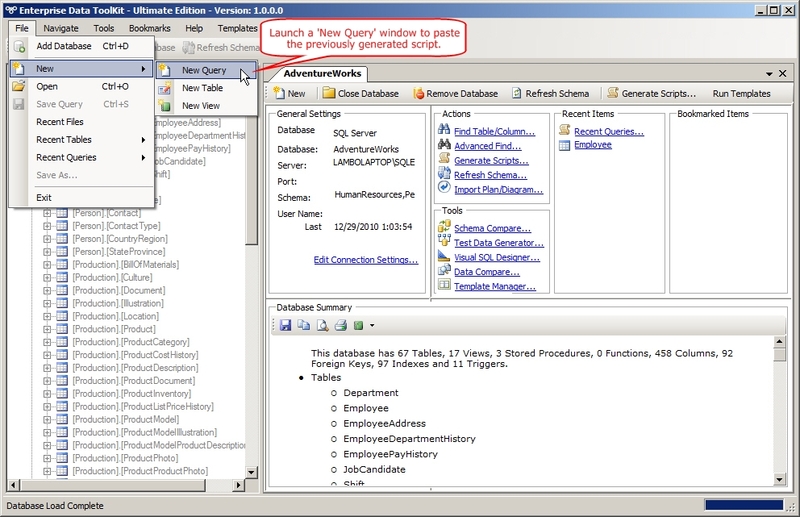 Select Rows and quickly generate Insert statements from the data contained within those Rows. 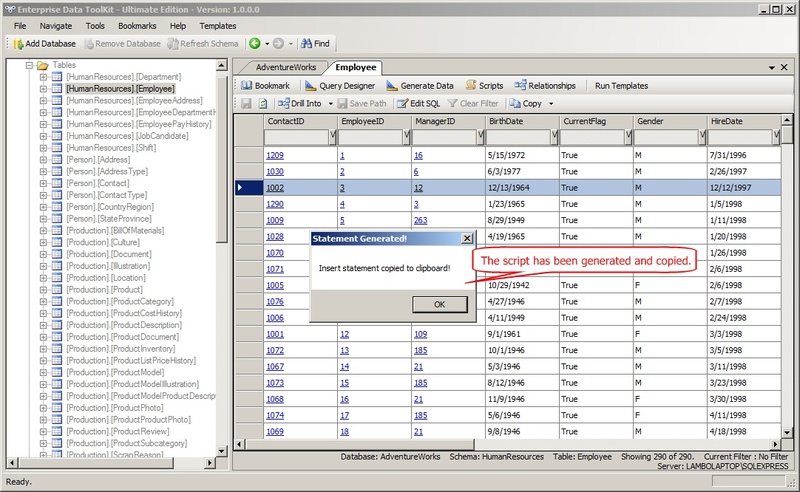 The statements are formatted so you can quickly modify the values to generate new data.